While hacks and data breaches are bad news for businesses, it’s good news for MBAs with cybersecurity skills. In fact, the demand for Cybersecurity MBAs around the globe is so high, employers can’t fill millions of open positions fast enough. Non-profit information security advocacy group ISACA predicts that there will be “a global shortage of two million cybersecurity professionals by 2019,” reports Forbes, and according to a recent report by Cybersecurity Ventures, the cybercrime epidemic will triple the number of open cybersecurity positions over the next five years. According to a recent Forbes report, in the U.S. alone, each year “40,000 jobs for information security analysts go unfilled, and employers are struggling to fill 200,000 other cybersecurity related roles.” And “for every ten cybersecurity job ads that appear on careers site Indeed, only seven people even click on one of the ads, let alone apply.” Many MBAs “may want to click,” reports Forbes, but some feel that they may not have the right skills to compete. Well, there’s an easy fix for that. Programs like these prepare graduates for careers in some of the most in-demand areas of cybersecurity such as security analyst, security manager, and chief information security officer (CISO). Other courses may include Decision Processes for Business Continuity and Disaster Recovery, Risk Management and Legal Compliance, and Security in the Enterprise. All students will complete core MBA courses such as Managerial Economics, Financial Management, Managerial Accounting, and Organizational Behavior, and programs often culminate in a Capstone Project, which focuses on integrating concepts through project work and applied cases. If you have an MBA in Cybersecurity, just about every company, business or organization is on the lookout for people with your skills. 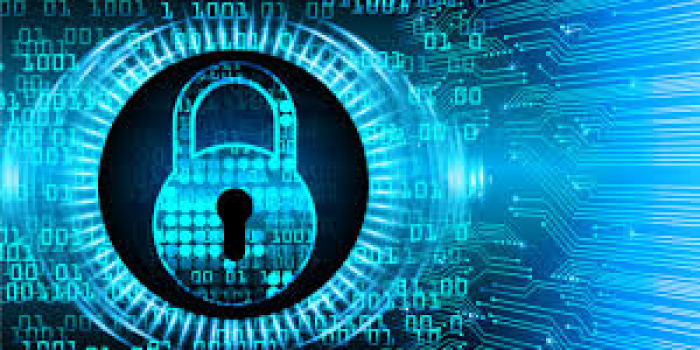 However, according to Forbes, “large healthcare, financial and global manufacturing firms need armies of cybersecurity professionals, as do professional services firms like Deloitte and EY.” The Department of Homeland Security (DHS) is another viable option. Right now, the DHS is recruiting cybersecurity professionals with skills in the areas of Cyber Incident Response, Cyber Risk and Strategic Analysis, Vulnerability Detection and Assessment, Intelligence and Investigation, Networks and Systems Engineering, Digital Forensics and Forensics Analysis, and Software Assurance. Candidates can view current DHS cybersecurity job opportunities by searching DHS jobs on USAJOBS and typing "cyber" in the "Keyword" field. Candidates can also learn more about the DHS cyber mission at DHS.gov, and sign-up for e-mail updates on cybersecurity job opportunities and upcoming events. While most cybersecurity jobs start at a minimum of $100K annually, CISO’s average around $204K, and can reach nearly $400K a year. In metro areas, average salaries reached $380K in 2016. Research Firm IDC predicted in 2016, that by 2018, “when CISO positions elevate to the C-Suite alongside chief financial officers (CFOs) and chief operating officers (COOs), it will arguably move the salary needle into the half-million dollar range for some.” Compensation for cybersecurity jobs has increased so rapidly, that it has “overtaken” other IT jobs, reports analytics firm Burning Glass. "Cybersecurity Jobs Report 2018-2021." Cybercrime Magazine. Cybersecurity Ventures, 13 June 2018. Web. 22 June 2018. "DHS Cybersecurity." DHS.gov. U.S. Department of Homeland Security (DHS), 24 Oct. 2017. Web. 22 June 2018. "Homeland Security." Dhs.usajobs.gov. United States Office of Personnel Management, n.d. Web. 22 June 2018. ISACA.org. ISACA, 2018. Web. 22 June 2018. Kauflin, Jeff. "The Fast-Growing Job With A Huge Skills Gap: Cyber Security." Forbes. Forbes Magazine, 17 Mar. 2017. Web. 22 June 2018. Logsdon, Mark. "Getting a career in cyber security: there’s no better time than now." Axelos Global Best Practice. Alexos, 02 Feb. 2016. Web. 22 June 2018. Morgan, Steve. "Top Cyber Security Salaries In U.S. Metros Hit $380,000." Forbes. Forbes Magazine, 09 Jan. 2016. Web. 22 June 2018. University of South Florida. "Cybersecurity Concentration." USF.edu. University of South Florida (USF) Muma College of Business, 2018. Web. 22 June 2018.